I have yet to travel to Europe. But if there’s one country that’s non-negotiable in my travel bucketlist, it would definitely be Spain. Why? Well, yes I’ve heard about all of its dramatic fortifications, glistening coastlines, and splendid architecture. What excites me more though is all the good food it has to offer: tapas, sangria, croquettas, etc. 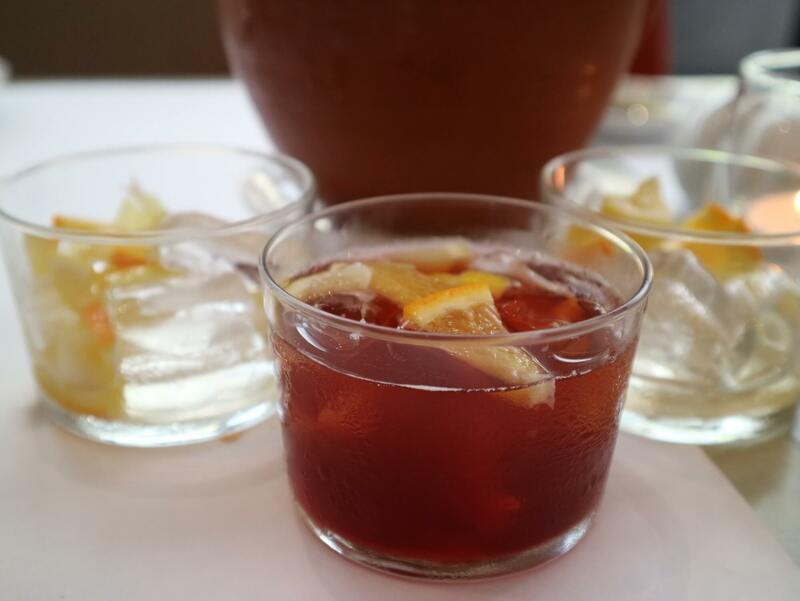 And luckily for us, there’s a good of restaurants offering the best of Spanish flair around Metro Manila. But let me tell you this. 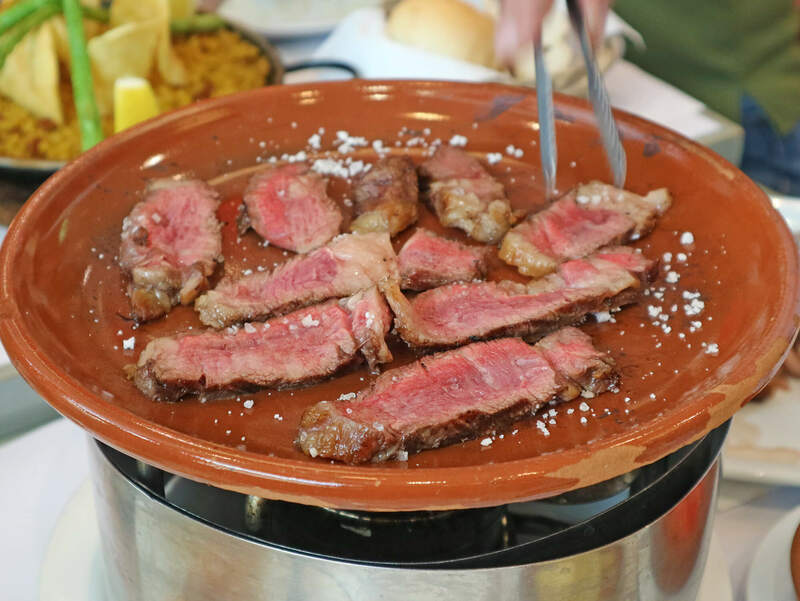 Nothing comes close to the authentic Spanish Feast from Tapella Bar and Restaurant. Read on to know why. 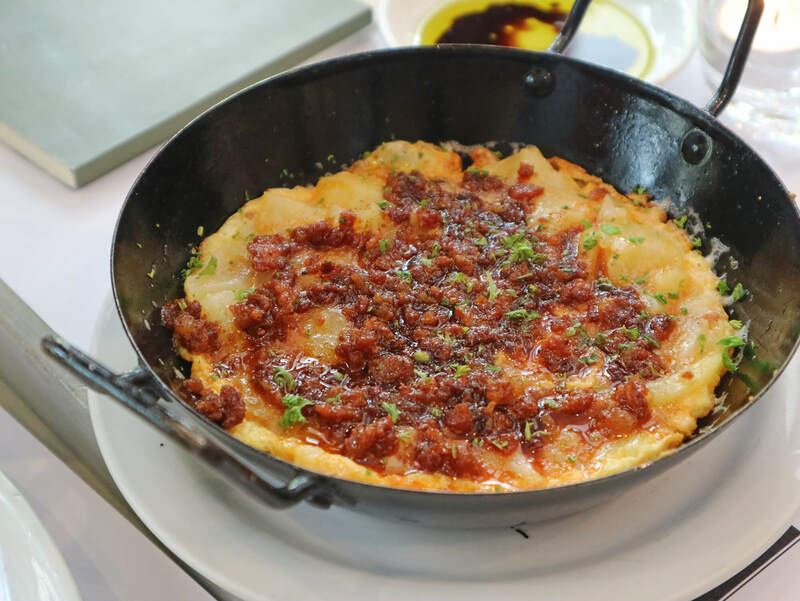 Located at the ground floor of Greenbelt 5 in Makati, experience a mouth-watering Spanish Feast at Tapella Bar and Restaurant. 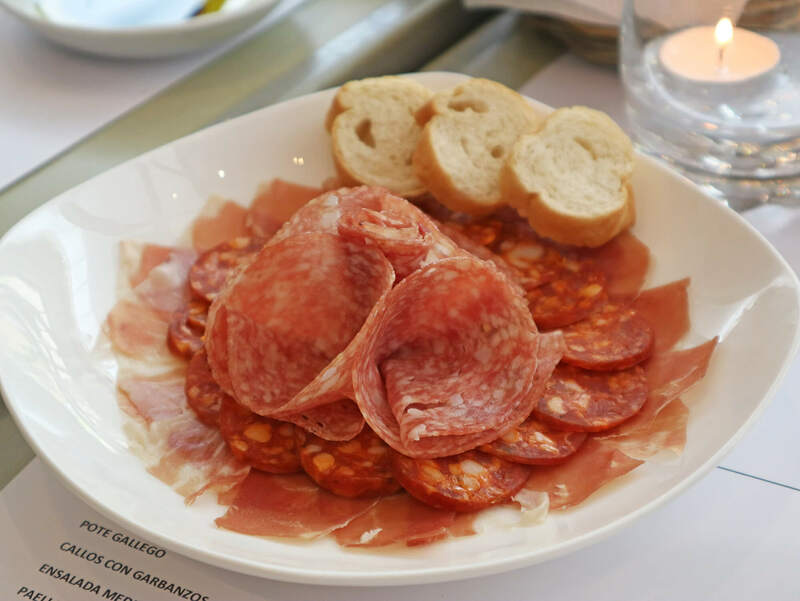 Tapella opened in 2009 with the initial concept of being a modern Spanish tapas bar. The Spanish restobar can sit upto 160 guests, all set in a modern yet laid-back ambiance. Tapella draws inspiration from local flavors in the Spanish region and creatively fuses it with key influences from its neighbors. 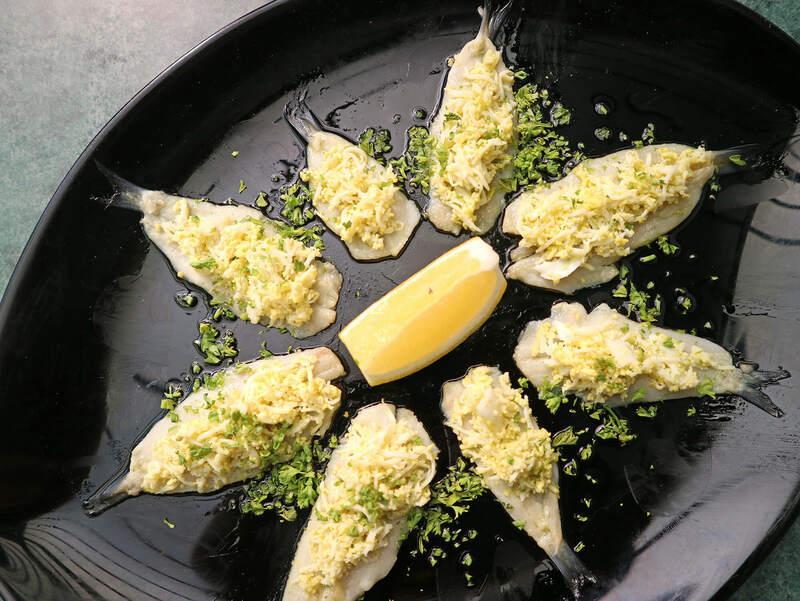 And with generous dish servings, the posh restobar makes a top choice for night-outs and casual business meets amongst both expats and locals. We started off our feast with a refreshing plate of Chef JP’s Tuna Ceviche. A generous serving of chopped up tuna, soaked in vinegar and lemon, and topped with minced onions and peppers. 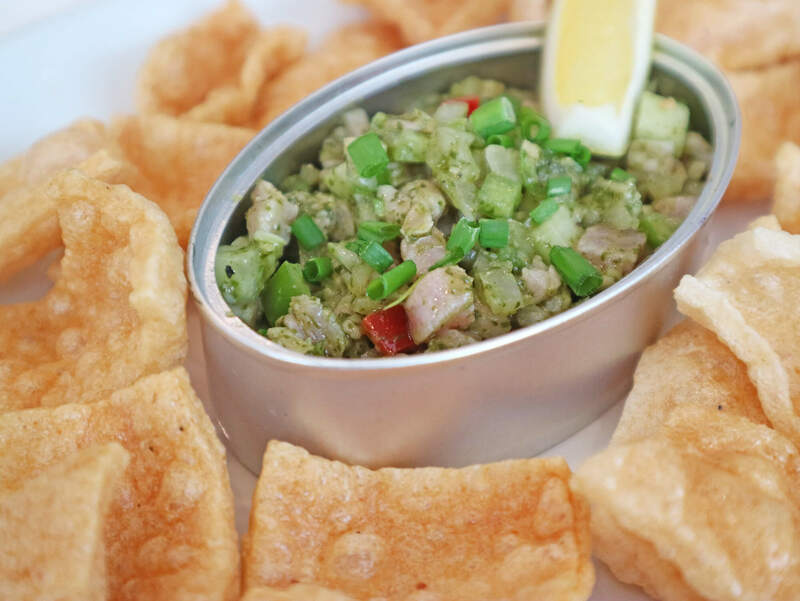 The fresh and zesty flavor of the ceviche was perfectly complemented by the crunchy texture of their homemade chicarones! My family hails from the Mindanao and this reminded me of our local Kinilaw. Yum! 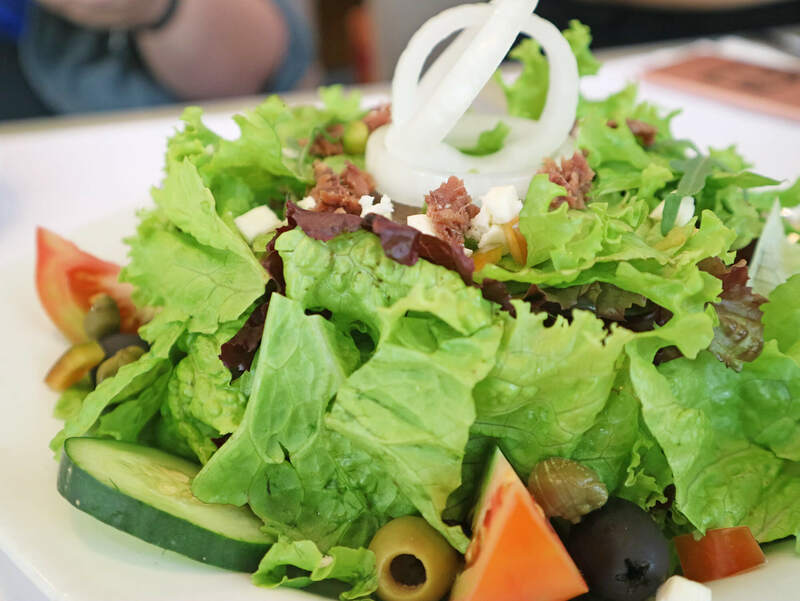 Their salad was a healthy mix of greens topped with classic mediterranean ingredients like capers, olives and onions. It came with a side of their homemade Caesar salad, which by the way was so good because it was seasoned well but light enough. 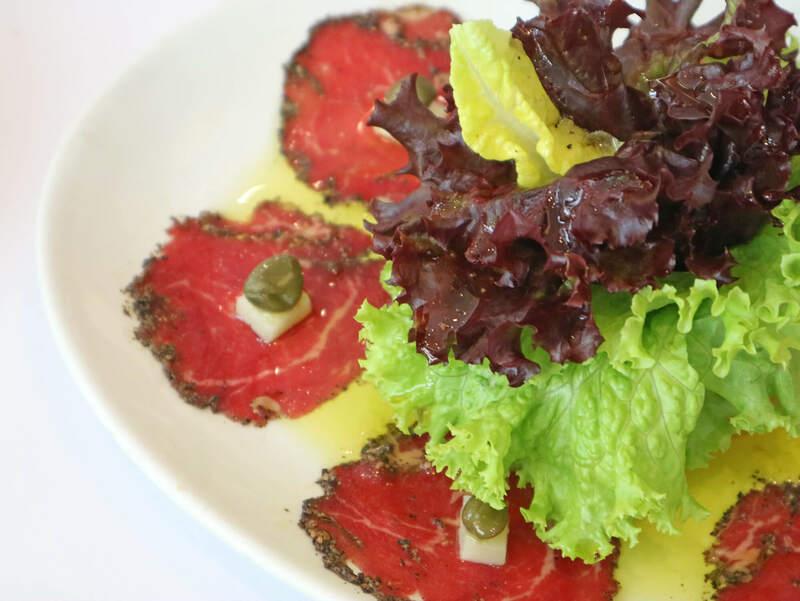 Carpacio de Ternera (Beef Carpacio, Php 195.00) – HTD Favorite! I love eating raw sashimi but I’ve never eaten raw meat (beef) before. I was actually adamant at first because it was a deep red in color. So this definitely was the first and glad I tried it. It was just delightful! The thinly sliced pieces came marinated in pepper, topped with olive oil, Manchego cheese, and a caper. The soft-buttery texture was melt-in-your-mouth goodness. Boquerones (Anchovies, Php 350.00) – HTD Favorite! A seasonal menu item, Tapella’s Boquerones is made of fresh anchovies drenched with some vinegar and topped with olive oil, minced garlic, and egg. Just like the ceviche, this one was light and refreshing. If Karla joined us that afternoon, I can see her totally obsessing on this one! Obviously, I’m a big fan of seafood and squid is not an exemption. This one’s a lighter version of the famous calamares. 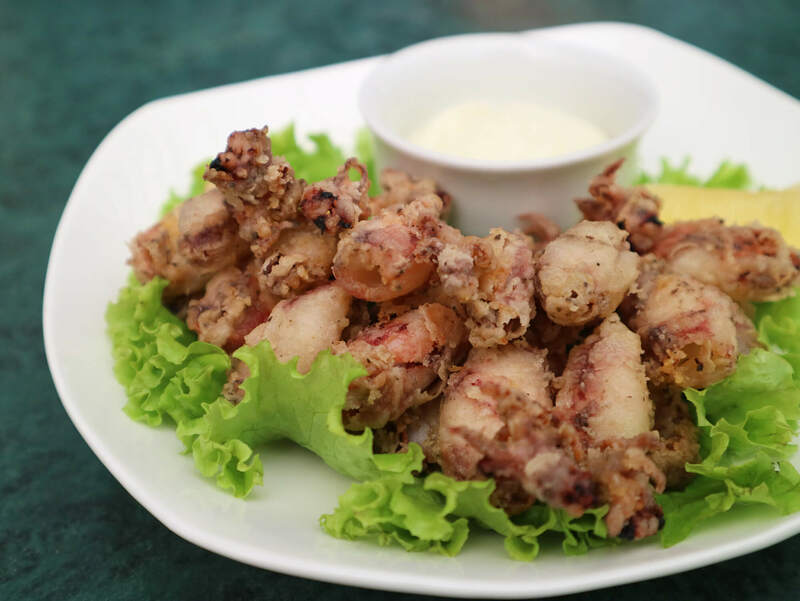 Deep fried baby squid served with a side of aioli dip. The freshness of the squid enveloped in the crunchy light batter and dipped in the tasty garlic dip was a clear winning combination. El De Carne (Angus Beef Skewers, Php 350.00) – HTD Favorite! 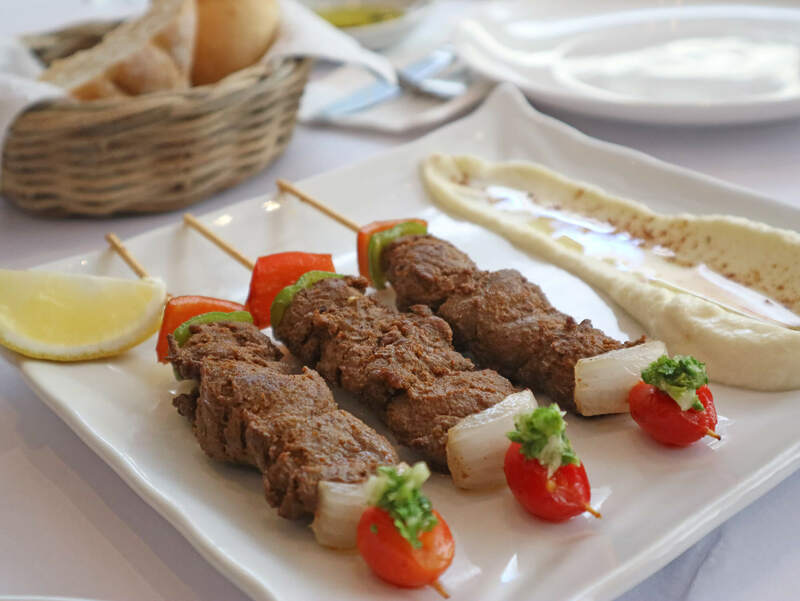 Time for some kebabs! 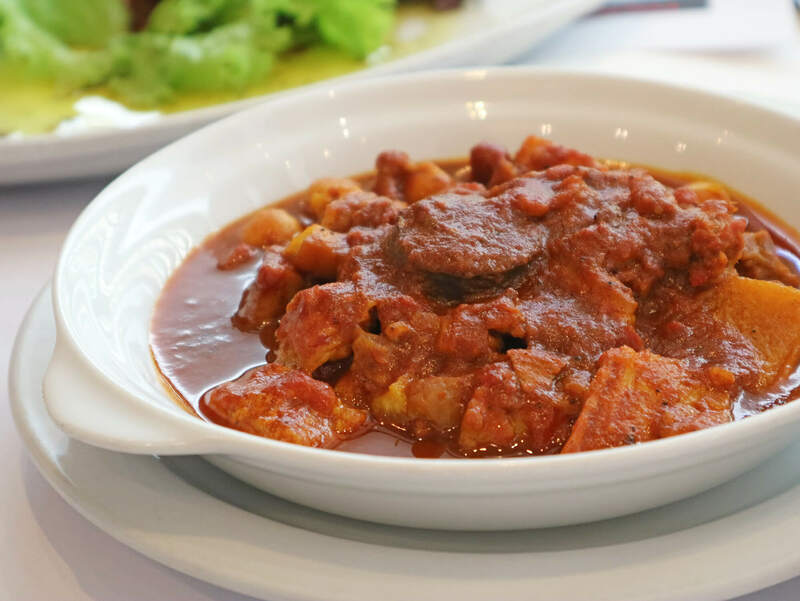 Angus Beef Skewere infused with a blend of paprika and Morrocan spices. They were tender, perfectly cooked, and packed a good amount of flavor. Can someone please pass the rice, already? Highly recommended! 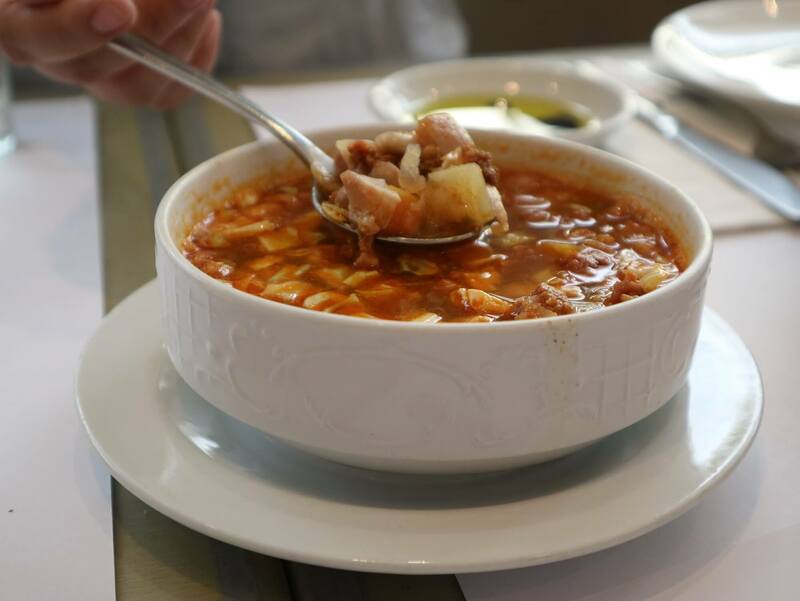 To cap off our starters, we had the Pote Gallego. Which was basically a Galician Bean, Pork, Chorizo and Vegetable Stew. It was thick and hearty. I can totally see myself having this as comfort food on rainy days. Finally, PAELLA! And a delicious, gourmet one at that! A hearty seafood paella, this one’s brimming with flavor! The rice was cooked right with a generous topping of shrimp, squid, and mussels. Don’t forget to squeeze some lemon on top to balance out the taste of the sea. Arroz Sobrassada with Herb Sauce (Php 375.00) – HTD Favorite! 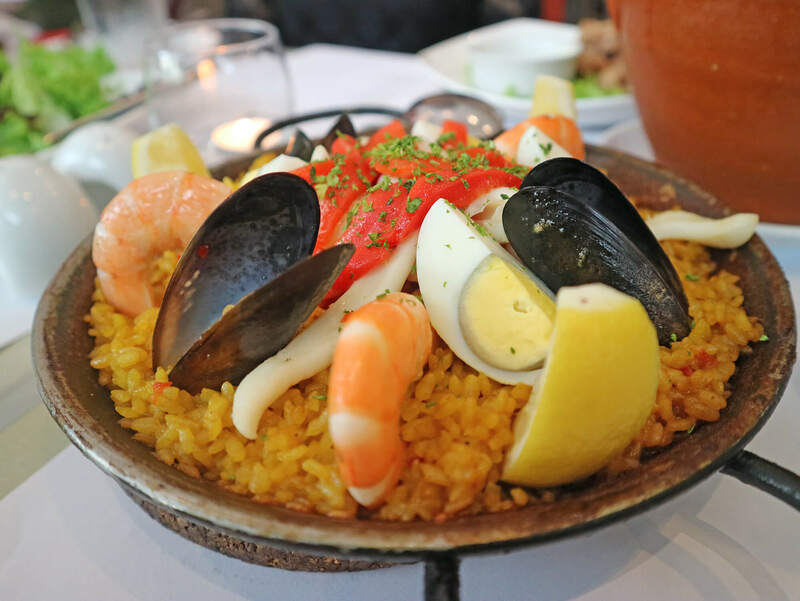 I love my seafood but this version of paella by Tapella was actually my favorite. Spanish Chorizo Paella served with a Fine Herb Sauce and Asparagus. It had a deep, curry-ish flavor to it, made more pronounced and flavorful by the herb sauce. Totally different and addictive! Did I mention their Chorizo is actually locally made and sourced? 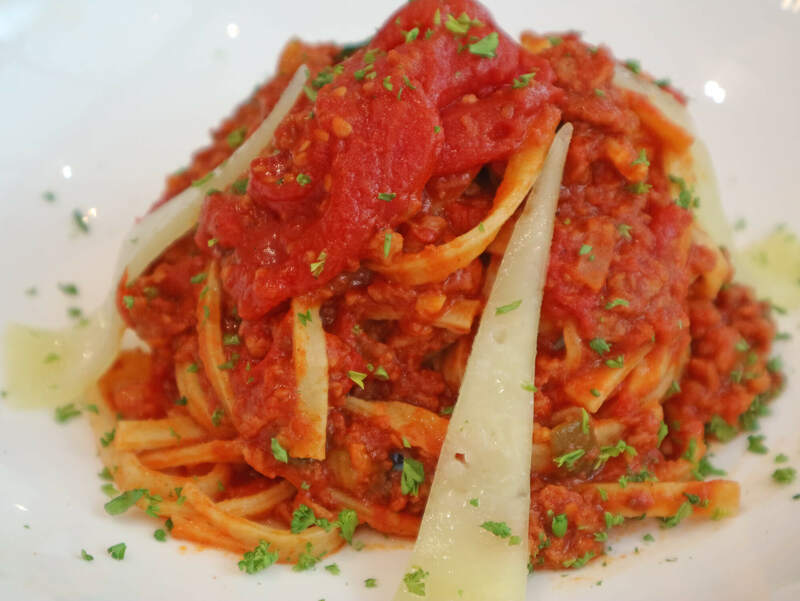 This homemade pasta topped with a flavorful tomato sauce hit home for me! The pasta was al dente and the mixture of the authentic-flavored sauce and meaty flavor of the chorizo was on point. A little pricey in my opinion but still a delightful dish! Saving the best for last is the Chuleton Villagodio from Tapella Bar and Restaurant. Certified Angus Beef Prime Rib Grilled Villagodio Style. Served half cooked then finished off on a clay plate seasoned with raw sea salt. 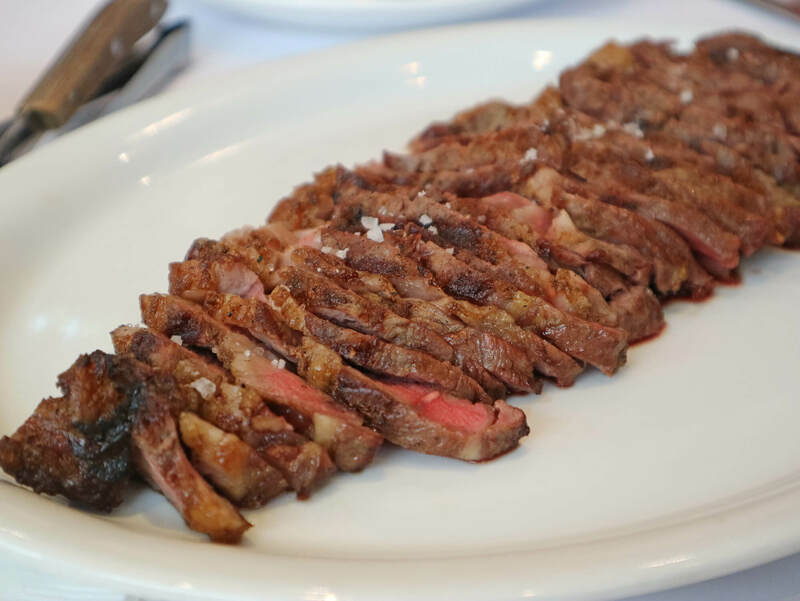 The clay plates are actually from Barcelona and have slowly absorbed the taste of the salt and steak over time. We were privileged to be served by none other than Chef JP and it was pure heaven! The meat was so tender and flavorful (but not overpowering). No knives needed! Ronin (Php 350.00) – White Sangria infused with Sake and topped with lychee. – HTD favorite! 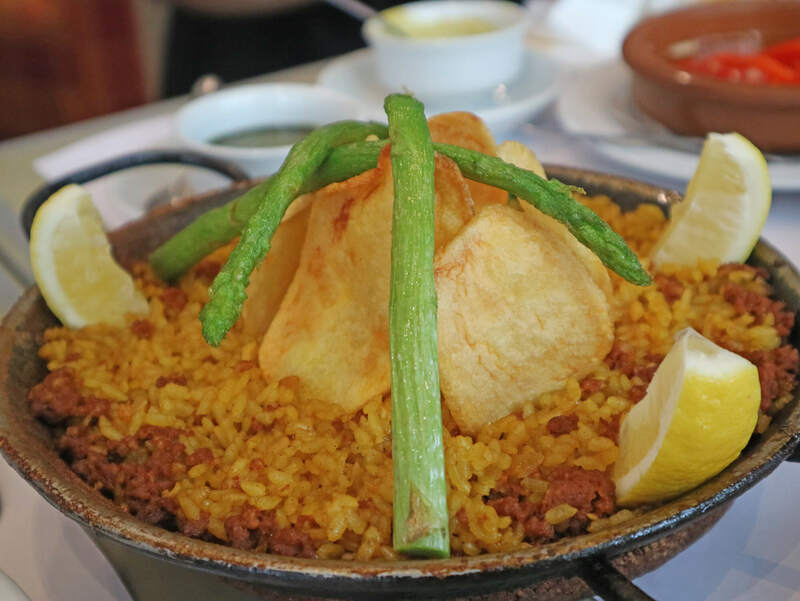 So the next time you’re craving for some good Spanish food, come by Makati and have a feast at Tapella Bar and Restaurant. Perfect for catch up with friends, casual meetings, and even date nightst! Been here? Share your #TapellaRestobar experience! 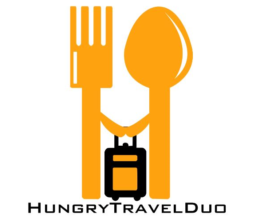 One Night Food Trip Returns to The Philippines!